Filled with the lyrical beauty of a now-vanished world, this magnificent novel unfolds during the last great ice age, amid the mist-shrouded mountains of the Pyrenees in prehistoric France. 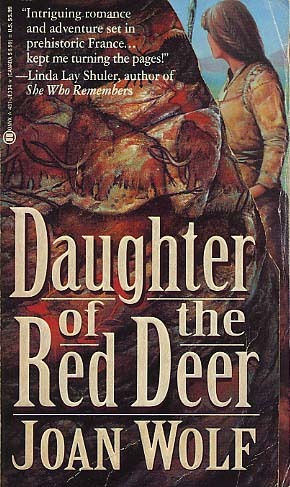 When tainted spring water fatally poisons the women of the tribe of the Horse, the clan's young men set forth to kidnap new women from the matriarchal tribe of the Red Deer--a quest that musty succeed or their people will die out. Golden-haired Mar, the leader of the young men, falls in love with the beautiful Alin, daughter of the Red Deer priestess. And though they are born to embrace different traditions, raised to worship different gods, Mar will fight to claim this strangely powerful woman as his own. Against a lush backdrop of ancient magic, mammoth hunts, and secret rites, this mesmerizing novel brings to life the ritual and adventure of a primeval world and tells a timeless tale of conflict between two societies ...two beliefs ... two sexes... and two people.